We have a clubhouse leader for stupidest triple-A game name of 2012, and it's at least seven months from release. 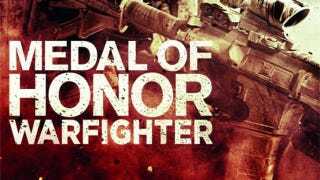 Medal of Honor: Warfighter. Say it three times fast. For sure, the last word ends up "Warfare" on the third try. If a focus group wanted to develop a name that highlighted the derivative nature of military shooters and spoofed civilian attempts to speak armed forces' jargon, you couldn't have done a better job than Medal of Honor: Warfighter. As a former military affairs reporter, I heard that word, warfighter, a lot in doctrinal texts and officialspeak. It sounded to me like John Madden reminding us we were watching football players making football plays in a football game. There are many roles in a war—medic, photographer, correspondent—but I always figured that "fighter" wasn't one that needed the three-letter qualifier. Warfighter. Stick that in Wikipedia and it takes you to the page for "soldier." There's no entry for it in Merriam-Webster. Warfighter is, to my mind, a Pentagon label that respects all American services' need for their personnel to be called something other than "troops." The Army has soldiers, the Navy, sailors or seamen. Air Force has airmen and the Marines are, well, they're Marines. Sir. Warfighter. Leaving aside its ties to Ghost Recon: Advanced Warfighter (and the Clancyite love of that term speaks to its puffed-up redundancy) this is basically: "Medal of Honor: Soldier." Even the parody comments we heard after the title's reveal would carry greater description: Gunshooter. Tankdriver. Spawncamper. At least those connote a specialty. If you leave out a stray letter or two, you've got, GOOF HIT, GO HIT FLO or HI, HOT LOG. You can rearrange the letters of Modern Warfare however you like; in the end, that's still all you have. Medal of Honor: Warfighter not only fails to communicate what it might do differently from Modern Warfare, the title fails to communicate what it would do differently from a mid-February straight-to-DVD vehicle like Act of Valor. This is the naming equivalent of terrible cover art. Please go back and reconsider.